Distinguishing characteristics: A slime like trail that dissipates after about two minutes. When killed, Maltok emit a noxious gas that can be harmful if ingested. Maltok usually form after living residue from interdimensional travel creates symbiotic bonds that tear them from the collective in negative space connecting them to one of the three: thought, emotion, physicality. Best known for: secession from the Council of deities and threatening war against them for the crime of corrupting dark matter and polluting negative space. They ultimately desire to end the pollution and restore tranquility and balance to be "dark ocean"
Brief personal history: The Maltok are squid like sentient creatures with a hive mind that exist in most dark matter. For billions and billions of years, they have watch their numbers dwindle as the onset of "bacteria" (living beings composed of positive matter) created by the Big Bang continue to tear at the edges of the "known" universes. 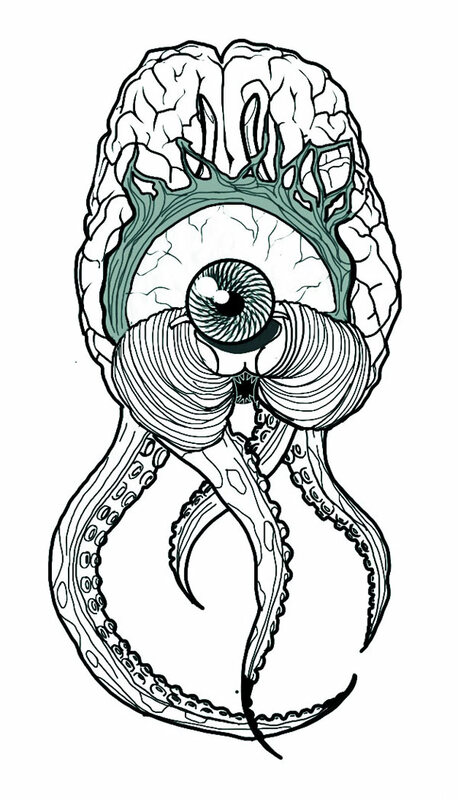 The Maltok's representative pseudopod on the Council of Deities (a pan dimensional governing body administering events on a scale far beyond human imagining), for eons railed against the Council's general policy of allowing any brand of life to become sentient make its way into their ranks. The Maltok seceded from the Council and retreated to the obscurity of the deep spaces of dark matter, until a particularly nasty strand of "bacteria" called "humanity" discovers string theory. They will not remain silent for much longer.